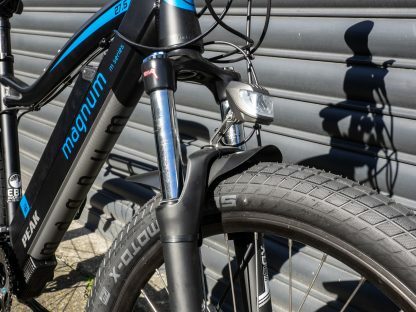 The Magnum Peak Urban is an in-house customisation of the popular Magnum Peak. We were getting a lot of enquiries for Magnum Peaks for commuting use, despite the model coming with mountain bike tyres, no lights, no rear rack and no mudguards. So we decided to have a go at what we thought was the best selection of accessories and upgrades to make a Magnum Peak an urban electric bicycle. We’re happy with the result so we are adding it to our line-up permanently! Schwalbe Moto-X urban tyres, 27.5 x 2.4″. These tyres look and feel amazing! Front Roxim light, wired into the main battery. 400 lumens and a crisp, clear beam on the road (This upgrade is also available on the standard Magnums for $150). Abus Granit 460 U-lock mounted conveniently to the frame. 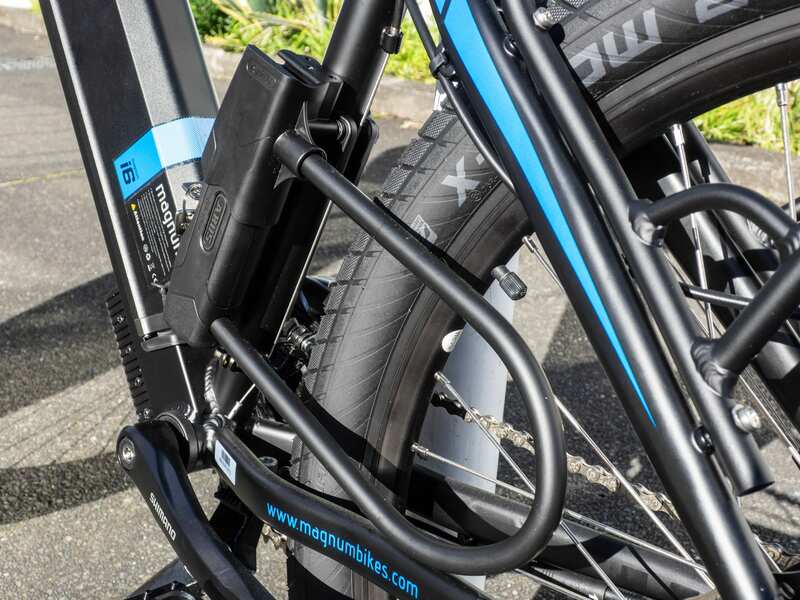 You can lock your bike up in seconds and with this fantastic mount down low on the bike, you barely feel the weight! 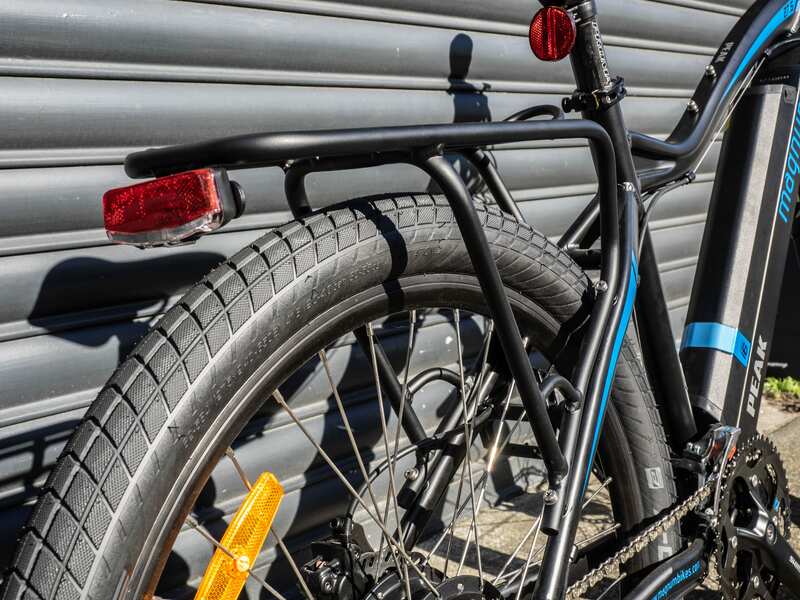 We have omitted a rear mudguard, as some people will put a bag on top of the rear rack which does the job. Or you may wish to choose a clip-on rear mudguard, or even put some coreflute or inner-tube material under the rear rack. 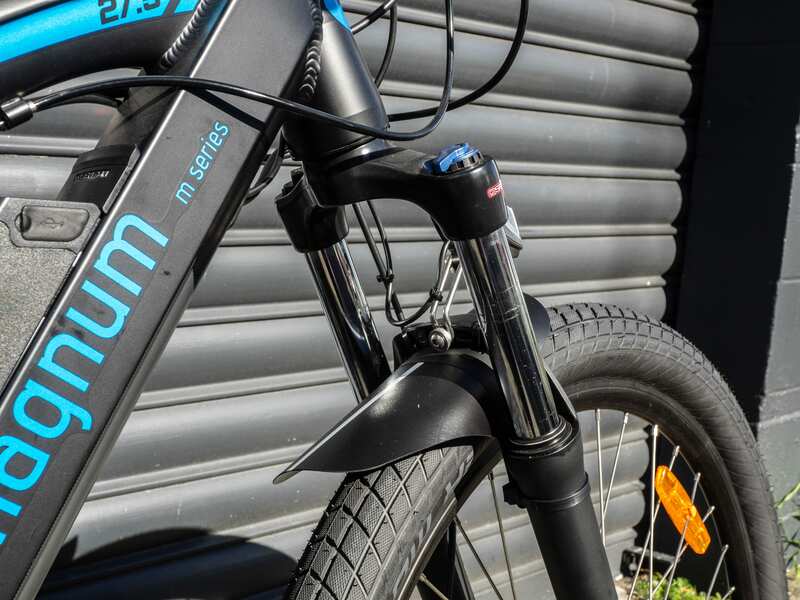 In short we didn’t find a mudguard that was just perfect for the job, so we decided to leave that to each customer’s choice. 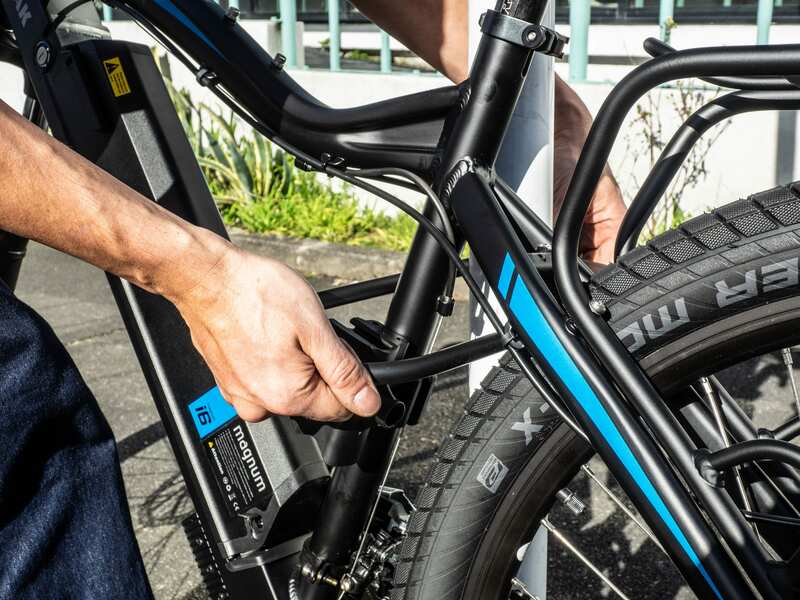 Wider tyre than the Magnum Metro + for more comfort and protection for the rear spokes. 24 gears instead of 8. 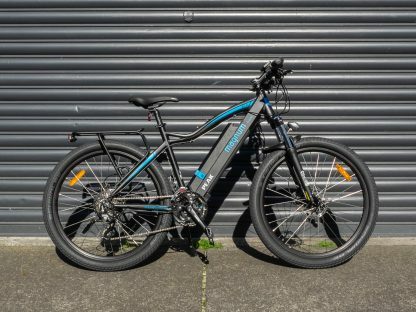 This allows more gear choice down low, ideal for riding without power or doing some light off road on your urban commuting bike. 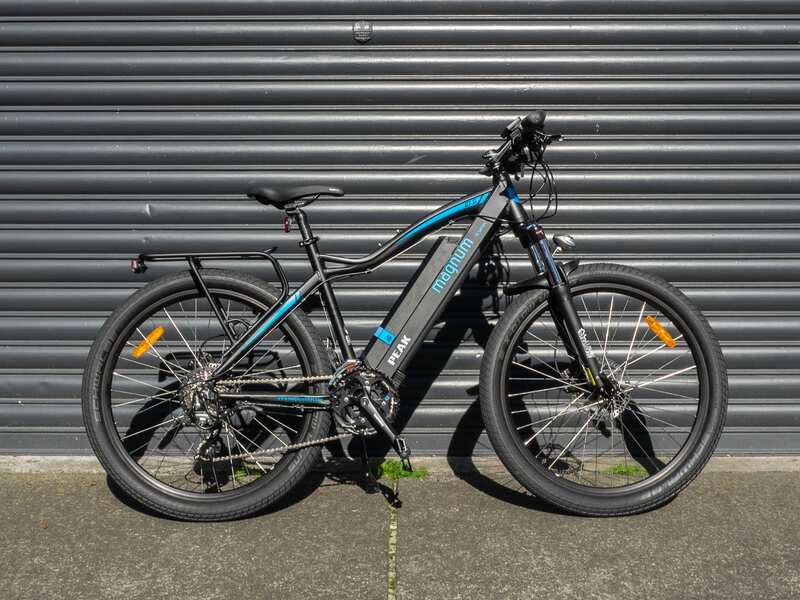 Why might you stick with a Magnum Metro for commuting use?